This phone is no less than a flagship device with it&apos;s amazingly fast processor equipped with 3GB RAM. It has a really premium look with it&apos;s unimetal body design. Amazing battery life and camera make the overall experience really good. 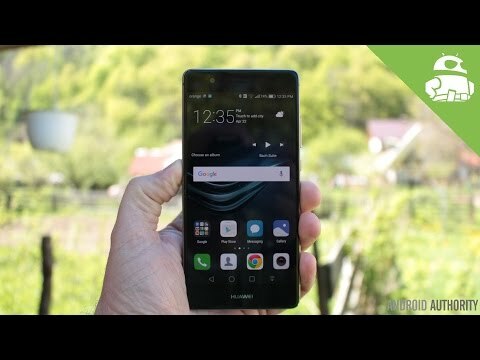 1 Pricebaba user have written their experience with Huawei P9. If you own Huawei P9, please do leave your feedback too. Warranty Details 1 year manufacturer's warranty for the device, Battery & Adapter comes with pack of 6 months Warranty and 3 months for Data USB Cable. Lowest price of Huawei P9 price in India starts at Rs. 39,999 Huawei P9 is available on Flipkart at Rs. 39,999. Prices updated on 25th April 2019. After the success of the Huawei Nexus 6P last year in 2015, Huawei gained a lot of popularity and market share all over the world. The Nexus partnership with Google has made Huawei a lot more recognized as a brand compared to what it was earlier. And this year in 2016, following the rumours Google is no more working with Huawei on their next Nexus phone. However, Huawei has been making it's mark in the Indian market with it's online sxclusive brand Honor that focused on budget devices majorly. But huawei this year has launched it's P9 in the Indian market at a premium price, however the phones does pack excellent hardware and innovative Dual Camera Setup. The Huawei P9 has a metal unibody design which gives the device a premium look and feel. Also the device is just 6.95mm thick and the chamfered edges look great. Also being a phone with 5.2 inch display makes the device quite handy and to use the phone single handed shouldn't be a problem. The display on the Huawei P9 is Full HD (1920x1080 pixels) LCD panel which gives it a total pixel density of 424PPI. Also, the crisp and vivid display is protected by Corning Gorilla Glass 4. Coming to the performance, Huawei P9 is not less than any flagship device as it houses the HiSilicon Kirin 955 Octa Core chipset and paired along with it is 3GB of RAM which might not sound fancy but is sufficient enough. The highlight of the device here is it's 12MP Dual Camera Setup of which one is a Monochrome sensor that helps in capturing impressive details and also the low light shots turn out to be impressive with the help of software features. The phone also has a rear mounted fingerprint scanner which also acts as a camera button to take pictures and to scroll. The Dual Camera Setup on the back of the Huawei P9 does only 1080p video recording @60fps and unfortunately does not support 4K recording. The rear camera has also got a Dual Tone LED Flash and a Laser Autofocus sensor. Whereas, on the front is a 8MP shooter for those selfies and video calling needs. To store all the data we get an onboard storage of 32GB that can be further expanded up to 256GB more via a dedicated MicroSD card. To power all this the Huawei P9 gets a 3000mAh non removable battery unit which sounds decent enough. We also get USB Type-C charging port but the phone does not support fast charging or wireless charging. And in terms of connectivity options we get 4G LTE connectivity but not VoLTE, also the phone lacks a NFC sensor.